As a teen, Ana studied with Karen Child and Jack Ashton of the Utah Symphony, She was a member of the Utah Youth Symphony Orchestra led by Barbara Scrowcroft for five years, taking her to Abravanel Hall, the Tabernacle and Robert Redford’s Christmas parties at Sundance. She was a member of the Young Artist Chamber Players and had the opportunity to tour Western Europe with the Rocky Mountain Youth Camerata, directed by Jack and Ted Ashton. Ana received Superior ratings at the National Federation of Music Clubs for six consecutive years in Solo and Concerto divisions and two years in the Quartet division, resulting in four gold cups. She was chosen to be in the Allstate Orchestra and played for Regional and State Solo & Ensemble, receiving superior ratings in both solo and quartet divisions. As a soloist, she performed at the Honors Recital at Advanced String Camp, the Symphony Youth Guild Master Class, and the Composer’s Guild. She was the concertmaster of the Davis High School Chamber Orchestra for two years. 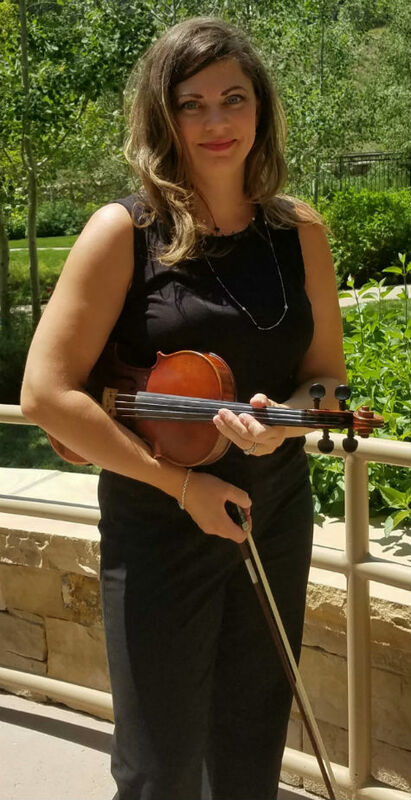 In 1998, upon receiving a full ride scholarship to Southern Utah University, Ana became the Concertmaster of the Southern Utah University Chamber Orchestra under Phillip Baldwin. She was selected to solo with the Southern Utah Symphony, playing Saint Saëns Violin Concerto No. 3 in Bm. After transferring to the University of Utah with a scholarship, Ana studied violin performance with Utah Symphony members, Ralph Matson and David Park. She was a violinist in the Utah Philharmonia and Concertmaster of the Utah Symphony Orchestra at the University of Utah, under David C. Cole (2002). Ana was the first violinist in the Wasatch and Vivace String Quartets, playing at many functions. She performed many concerts as a soloist, quartet, trio and orchestra member. Ana began her professional career playing as a first violinist in the Flagstaff Symphony Orchestra under Randall Fleischer, having the opportunity to play with performers such as Olga Kern, Cherish the Ladies, Ballet Arizona for the Nutcracker, Eroica Trio and Burning Sky at the Native American Music Awards (2003 - 2005). Prior to moving to Salt Lake, Ana played for three years with the Ash String Quartet for weddings, Christmas Eve Mass and Easter Sundays at St. Bernard of Clairveux, alongside a choir and other instrumentalists. She was a first violinist in a small orchestra alongside a 150 person choir at Grace Bible Church’s Christmas concert series for several years. Ana has played at weddings and events with Sweetwater Strings and many other fellow musicians. Bunce is currently a freelance violinist for hire and instructor in the Salt Lake city area.